Akbank Design Studio is looking for Part-Time Experience Designer and Visual Designer who are available to work 3 days a week. 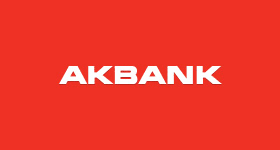 Akbank, with its vision being the "creation of the future of banking" is leading the way and taking digital transformation to the next level in all areas. As a part of this plan, with the objective of achieving holistic design in all its products and services, Akbank has decided to partner up with one of world's leading innovation agencies R/GA to create a brand new "Design Studio" in-house. The Akbank Design Studio - which will be in action this year, will be functioning in two different locations: Akbank HQ and Akbank Gebze Banking Center. The initiative will be formed and managed by talents selected specifically for this within Akbank as well as R/GA London and Istanbul teams who are ready and eager to share their leading and best in class methodologies and expertise. Led by Akbank, R/GA will kick-start the Design Studio by talent-hunting, as well as establishing new ways of working and with their R/GA University expertise, train this talent on areas from strategy to user experience and visual design. Experience Design Team : Experience Design team creates intuitive, engaging experiences that people want to visit, use, and visit again. They know how a product should look, feel and work, and understand what users need and want in the digital space and in real life. Visual Design Team: Visual Designers are makers and storytellers that use design to bring ideas to life. They lead projects into uncharted creative territories and synthesize new outcomes. They're design fundamentalists, but approach projects with rational and innovative mindsets. They identify user needs, interpret client challenges and define visual language, always mindful of how it looks and how it works. You can find more information and apply via Sabanci University online career platform Career Link.